French Talmudist of the fifteenth century; not to be confounded with the astronomer Jacob ben David ben Yom-Ṭob Po'el, called "Sen Bonet Bongoron (or Bonjorn) of Perpignan" (14th cent.). Jacob lived at Marseilles, where he was engaged in maritime commerce. Subsequently he retired to Naples, and thence addressed a letter (1490) to David ben Judah Messer Leon of Mantua on the utility of secular studies, and especially of medicine. 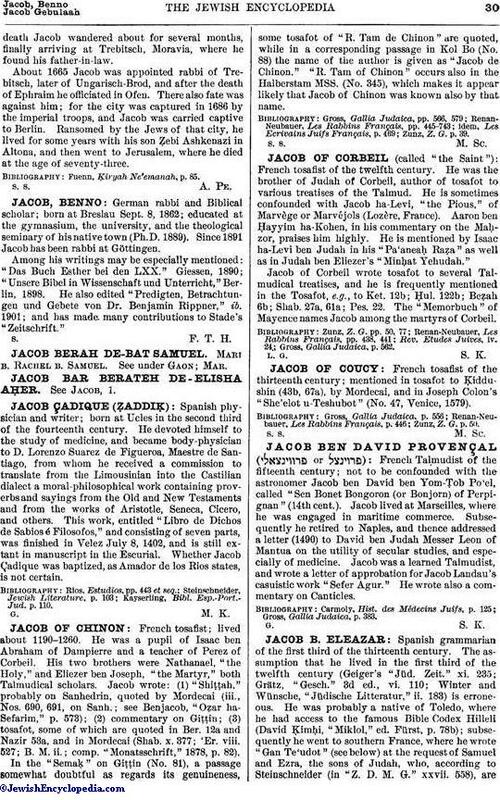 Jacob was a learned Talmudist, and wrote a letter of approbation for Jacob Landau's casuistic work "Sefer Agur." He wrote also a commentary on Canticles. Gross, Gallia Judaica, p. 383.